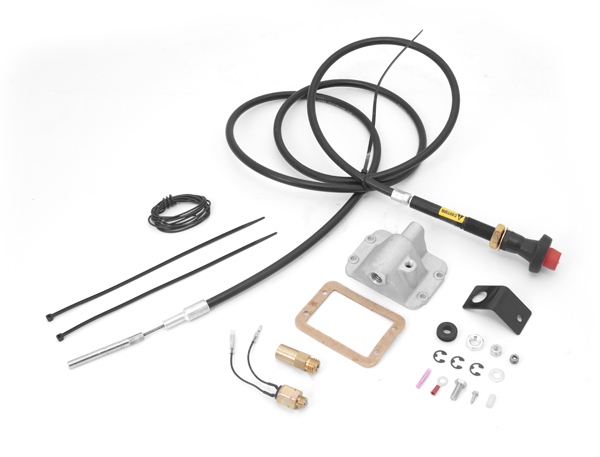 The Alloy USA® Differential Cable Lock Kit is a permanent replacement for the failure prone OE vacuum disconnect system. The kit allows you to engage and lock the front axle from inside the cab. A 1” pull of the cable ensures you will have four wheel drive when you need it for as long as the transfer case is engaged. The Differential Cable Lock Kit is more cost effective and easier to install than a locker or posi-trac system. Backed by a three year warranty.